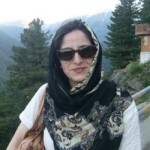 Sadaf Munshi – Dr. Sadaf Munshi has conducted the overall management of this project, coordinating and conducting fieldwork in Yasin, Hunza, Nagar and Srinagar. Over the past several years (starting from 2003), Munshi has conducted intensive linguistic fieldwork (13-15 months, 7 fieldtrips) with native speakers of Burushaski in India (Srinagar), Pakistan (Gilgit) and in the United States (Austin, Houston, and New Jersey). She has collected a corpus of linguistic data in various dialects which include: audio and video recordings of popular stories and legends, personal narratives, historical accounts, natural conversations, songs, poems, and hundreds of pages of hand-written field notes (excluding data transcriptions). A significant amount of these data have been digitized, transcribed, translated and linguistically analyzed. Raja Safdar Ali Khan (late) – a retired school teacher and a speaker of Srinagar Burushaski has immensely contributed to data collection and analyses during the PI’s various fieldtrips in Srinagar since 2003. Popularly known as “Masterji”, Raja Safdar contributed important data which include children’s stories, poetry and discussions on the language and its grammar, and word lists from the Srinagar sub-dialect of Burushaski in the form of audio and video recordings. Hasina Bano – a young Srinagar Burusho woman, Hasina has been a consistent source of help in assisting the PI in data collection, transcription and analysis in Srinagar over the many years of work on the language. She also contributed useful data which include a number of personal narratives, proverbs, etc. 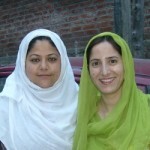 Hasina’s contribution in working as a liaison between the PI and the members of the Srinagar Burusho community has been very important, especially in the latter’s attempts to break the gender barrier. As a member of the community, Hasina made it much easier for the PI to be able to work with some males of what is essentially a very conservative society, with whom she did not have an easy access being an “outsider”. 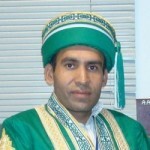 Piar Karim – a native speaker of Hunza Burushaski and a graduate student of linguistics at the University of North Texas. Karim has been a very useful and strong liaison between the PI and various local Burushaski scholars and native speakers of Burushaski in Pakistan. He has worked on the project as one of the primary research assistants. His main contribution are: data collection, transcription, translation and analysis of the texts. He mainly collected the data for Hunza dialect and also coordinated with the research assistants of Yasin and Nagar dialect for the data collection. He also provided the data for the vocabulary lists in Hunza Burushaski and collaborated with the PI in writing a grammatical sketch of Hunza Burushaski. Before joining UNT, Piar worked as an instructor of English at the Center of English language in the Aga Khan University (AKU), Karachi, Pakistan. 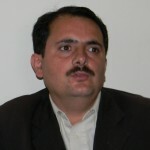 Mohammad Wazir Shah – a lawyer from Yasin who worked with Tiffou (1990) on Yasin Burushaski and has also published a book Burushaski Razon, which provides a grammatical sketch of Yasin Burushaski. He is well known in Yasin because of his contributions to the language; Wazir has been a great help in data collection and analysis in Gilgit during the PI’s fieldwork in Pakistan. Data provided by Wazir include a number of stories as well as discussions on some important aspects of Burushaski language and culture. 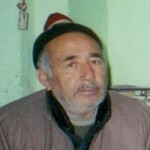 He has also assisted in transcribing and translating Burushaski texts from the Yasin dialect. Naseema Ali – a young teacher from Nagar who lives in Gilgit. A fluent speaker of Nagar Burushaski, Naseema assisted the PI in data collection and analysis. She assisted the PI as a liaison with the speakers of Nagar Burushaski in Pakistan and also accompanied her in her fieldwork in Yasin along with other research assistants. She also contributed some important data to the project. These include a story, a number of food recipes and some popular proverbs. Quwat Khan – a speaker of Yasin Burushaski in his twenties based in Toronto (Canada). Quwat has a very good ear for transcriptions and is a fluent speaker of the language. He assisted the PI with transcriptions, translations and provided word lists, such as numerals. Naveed Hussain – a young Yasin Burusho currently based in Islamabad. He assisted in providing linguistic data on body parts, kinship terms, etc. Zafar Iqbal Yasini – another young Burusho and a student of linguistics based in Islamabad. Iqbal provided data on noun and verb morphology and also helped with some transcriptions. Tyler Utt – a graduate student of linguistics at the University of North Texas. He has worked on the project as one of the primary research assistants. His main contribution ares: data management, editing of translations and analysis of the linguistic data. Tyler is a fluent speaker of German besides having knowledge of Arabic. Devon Smith – a graduate student alumnus of linguistics at the University of North Texas. Her main contributions are: data management. Rebecca Quigley – a web-designer and programmer with a degree in linguistics from the University of Texas at Austin. She assisted the PI is the design of this website and content management. Chris Hokamp – a graduate student alumnus in Linguistics at the University of North Texas, worked as the web designer and technical assistant during the earlier stage of this project. He speaks Turkish and German, and he is interested in Natural Language Processing, Phonology, and Language Preservation. Sahithi Venreddy – a graduate student in Computer Science at the University of North Texas. Sahithi assisted the PI in data management and other technical work. Copyright 2015, Sadaf Munshi, Ph.D.